This is a lovely recipe for cranberry muffins, with a touch of orange for even more flavor and nutrition. 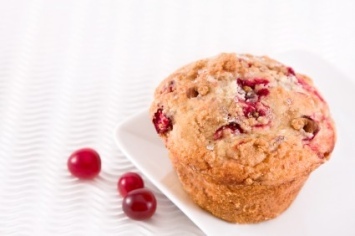 Cranberries add that nice tart taste to a sweet muffin. It’s a great mix. Spray a muffin pan with cooking spray or grease it lightly. Set it aside. Mix together the flour, sugar, baking powder and salt in a medium bowl. 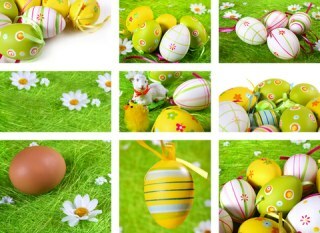 Whisk together the eggs, corn syrup, orange juice, oil and orange rind in a large bowl. Stir in the flour mixture just until combined. Stir in the cranberries and nuts. Note: Really do only mix the muffin batter until everything is just combined. Do not beat the batter or overmix or the muffins will not be as tender and they could. Spoon the batter into the muffin pan. Bake for 18-22 minutes, until lightly browned and firm to the touch. To make this recipe even healthier switch out half of the regular flour for whole wheat flour. I always recommend sifting whole wheat flour when you use it for baking to make it a bit lighter. That said, it adds nutritional value and the muffins still taste great. Change the orange flavor to lemon by substituting lemon zest for the orange zest. If you want to use lemon juice as well, instead of orange juice, do as stated above and reduce it by at least half and top it up with water. Sprinkle the top of the muffins with a bit of sugar before baking if you want an extra bit of sweetness and crunch to the finished product. Of course, sugar add calories as well, so unless you really love sweet, I would leave them as they are. Cranberries are so easy to use. You can buy them any time of the year, freeze them and pop them into fabulous recipes any time, like this muffin recipe. There is something about the combination of orange and cranberry that works really well together. This recipe uses both the zest and juice of the orange, so the muffins have a beautiful orange flavor. Our lovely orange cranberry muffins are just one of our wonderful muffin and bread recipes. Find the list here.